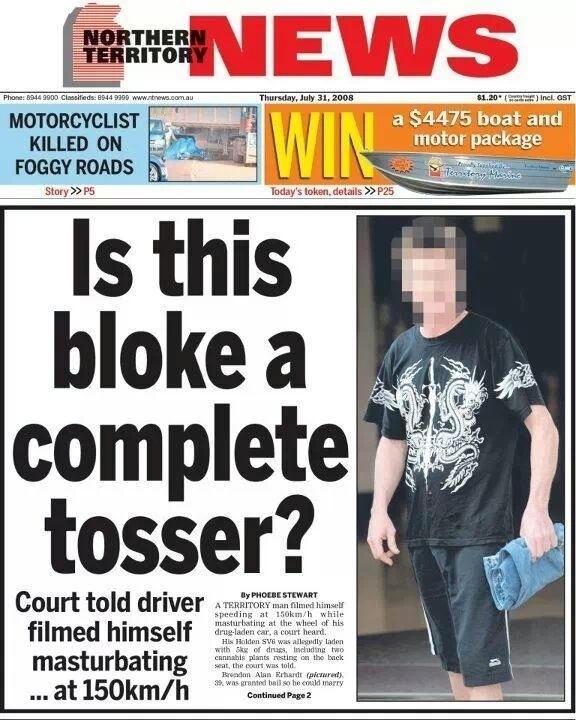 PISSER PAPER CAPER – the NT News! The Northern Territory is a strange yet wonderful place. They’ve got their own way of looking at the world and the heat makes people drink a lot and and do funny things. 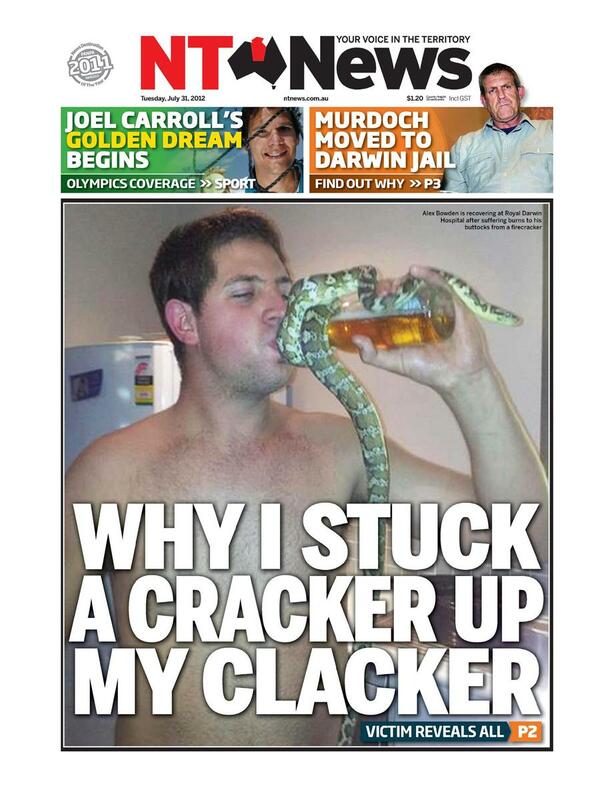 This gives journos at the NT News plenty to work with. 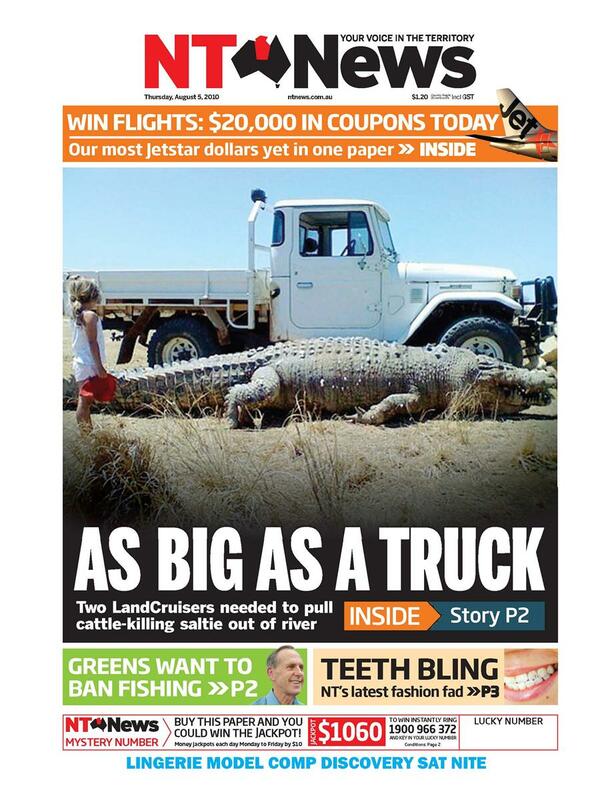 Crazy Territorians plus a talent for building the story around the headline is a winning combination.. 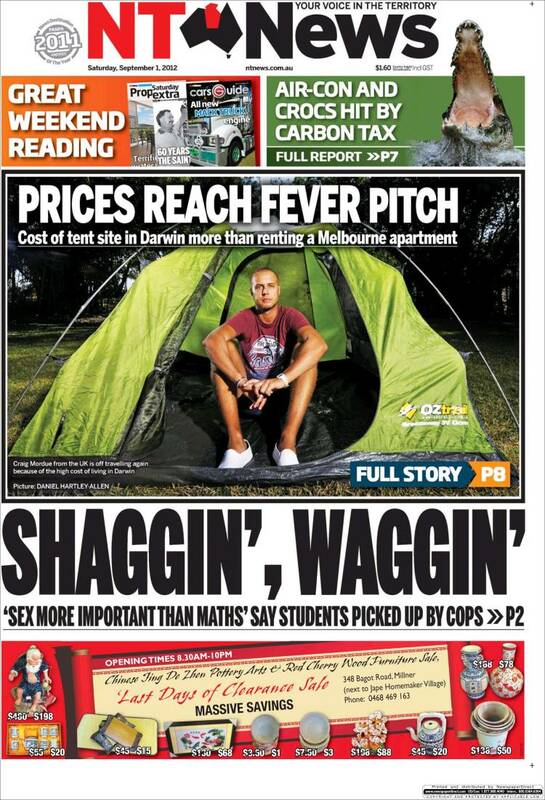 This Murdoch owned tabloid is one of the only state newspapers to maintain steady circulation in the internet age. Sure, many Territorians have not yet discovered computers but there’s more to their success. 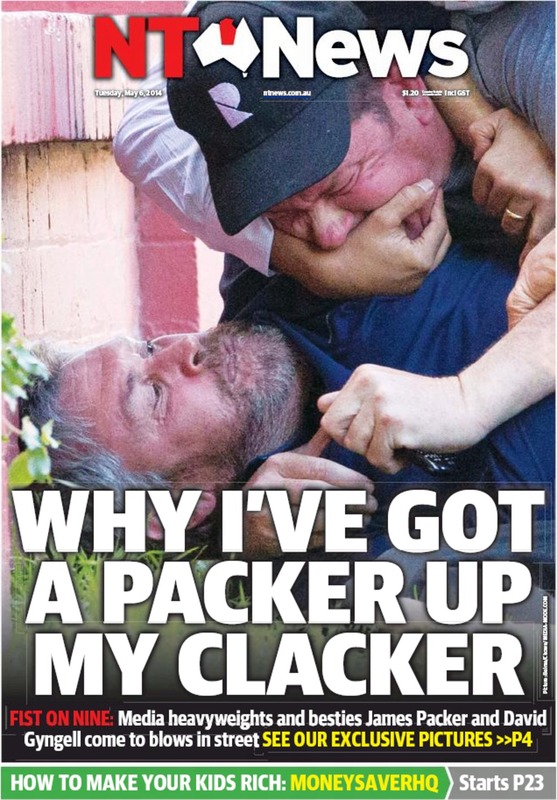 Would you rather read about the latest tax reform or the bloke who filmed himself masturbating at 150km/h? The latest developments between Israel and Palestine or the 5 year old boy who took on a croc? 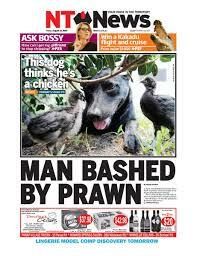 The Age could learn a lot from the journalistic excellence of the NT News!